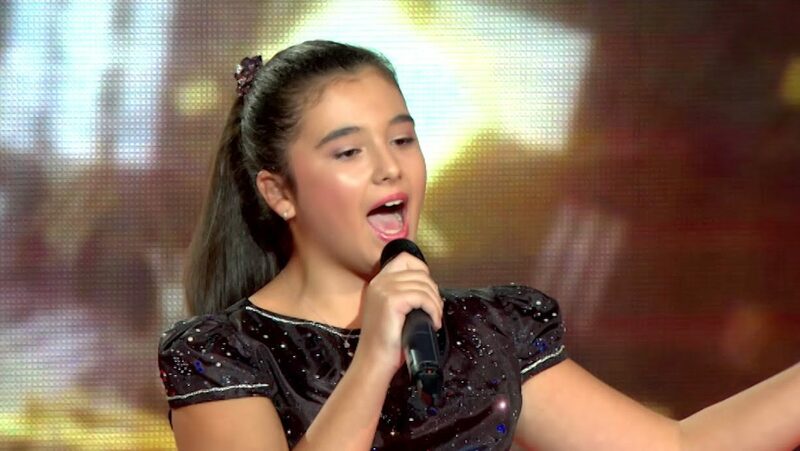 Marija Spasovska will represent FYR Macedonia at this year’s Junior Eurovision Song Contest in Minsk, Belarus. Macedonian broadcaster MRT has revealed that Marija Spasovska will represent the country at the upcoming Junior Eurovision Song Contest. Marija was internally selected after an audition took place on August 18th, which saw 10 candidates perform for their chance to represent their country. The jury in charge of selecting the entrant said that Marija had “the best performance and possesses extraordinary singing abilities”. 13-year-old Marija has been singing since the age of 4, performing in numerous competitions and festivals, including Slavianski Bazaar. Macedonia was one of sixteen countries to take part in the first edition of the Junior Eurovision Song Contest in 2003. On their debut they were represented by Marija & Viktorija with the song “Ti ne me poznavaš” finishing 12th with 19 points. Macedonia’s best result to date is 5th place, which they achieved in 2007 with “Ding Ding Dong” by Rosica & Dimitar and in 2008 with “Prati mi SMS” by Bobi Andonov.